It is one of those lovely weeks when hump day is already over on Tuesday since we have Thursday off in the south of Germany. It also started getting a bit more productive so loving it so far. I am recently considering to finally purchase some good lighting to shorten my editing time and increase the quality of my photos (I started getting very unsatisfied about them). I have been researching but I started getting confused by all different shapes and types of lights available in the market. Time to read and watch tutorials I guess. I hope I won't fall into another rabbit hole after make-up that is. All kinds of recommendations are appreciated. Today I have two of the newly released Sisley Phyto Eye Twist Long Lasting Eye Shadows for you which I had been testing for the last couple of weeks. The packaging is similar to their concept of Phyto Lip Twists but the brand logo is written in blue instead of red. There is a cap and the product can be taken out by twisting the bottom of the pencil. Here are my thoughts on how they apply and perform on me. Two of the shades I was most interested are #2 Bronze which is a mid-toned antique gold with khaki base and golden shimmer and #8 Havana which is a deep chocolate brown with satin finish. On me Havana leans coppery because of its subtle shimmer. 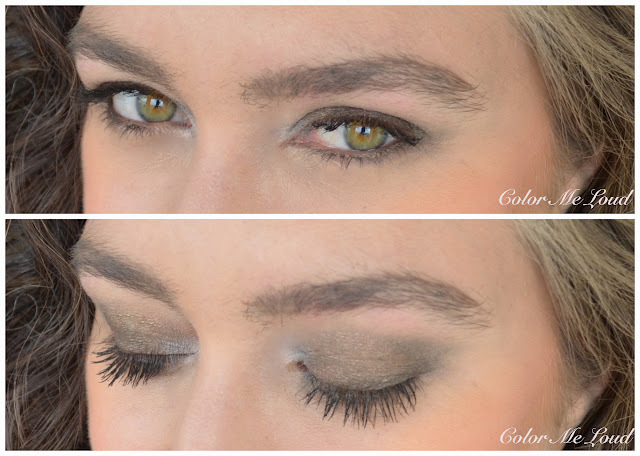 Sisley Phyto Eye Twist Long Lasting Eye Shadow #2 Bronze is a great everyday swipe and go shade. This one is really fool proof, the amount of shimmer is not over the top and on the eyes it looks like a natural shade with a little bit of something. I applied some white highlighter on the inner corner, which looks a bit harsh with this very warm easy shade. Note to myself, next time go with something warmer there. I especially like combining Sisley Phyto Eye Twist Long Lasting Eye Shadow #2 Bronze with warm orangy or coral tones. Bronze goes well with statement lips and this summer it will be all about orange. 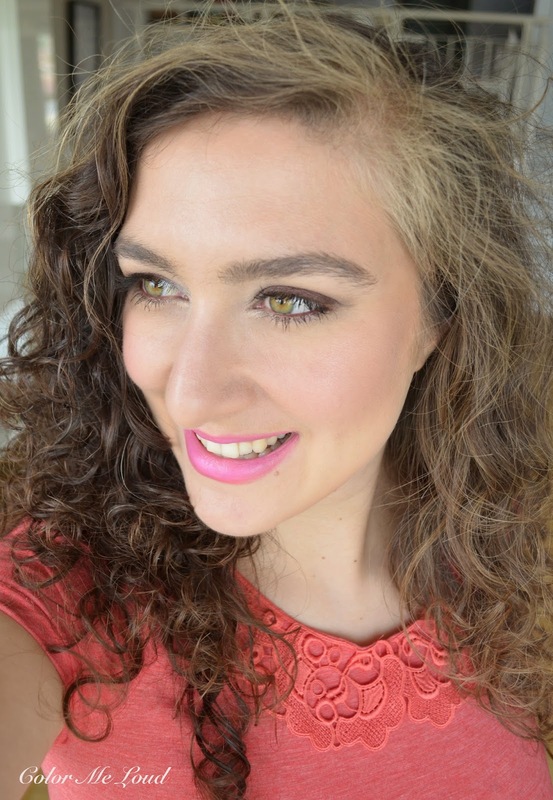 Here is a look I shared with you previously with my MAC Wash & Dry Collection review. 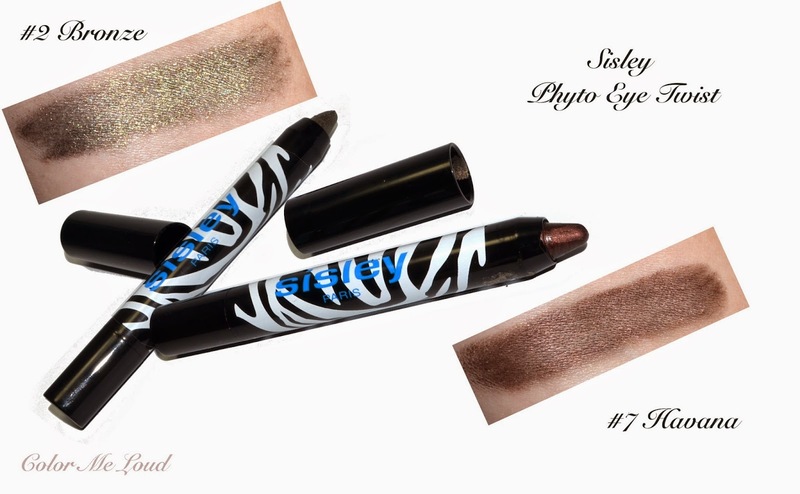 Sisley Phyto Eye Twist Long Lasting Eye Shadow #7 Havana is a shade right up my alley. 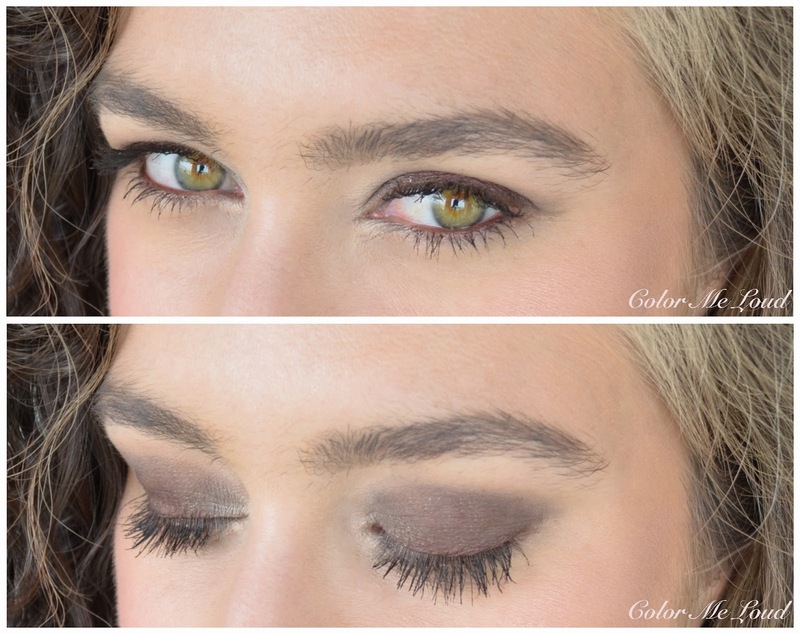 It is exactly what makes my eyes pop while giving me a softer smoky eye. Upon first application, I found Havana to be a little darker than what I am used to. It could be because it is almost summer and I gravitate towards less smoky and more fresh eye looks with peaches and pinks. That said, Havana earned me a few compliments, so it seems I am the only one who cares about the seasonal details after all. Below I applied Havana all over the lid and on the water line. I didn't use a liner with this look, only a highlighter on the inner corner and some mascara and blended over the crease with a clean brush. Here is the look in context with hot pink lips (Clinique Wow Pop, review coming up soon) and some nice dose of bronzer (new from Smashbox, review will be up soon) combined with just a touch of Tom Ford Cheek Color in Wicked. Sisley Bronze wore like iron all day without fading or creasing. When I was swatching the new Sisley Phyto Eye Twist Long Lasting Eye Shadows, I noticed that once they set, they are very hard to remove, call it water-proof or even bullet proof. The important thing to note is that, they set quiet fast so you don't have lots of time to blend. The best way to apply such formulas is to apply a little, smudge, apply a little more. They can be build up at spots when you blend too much without getting messy. Most of the similar formulas I know work that way, such as Charlotte Tilbury Color Chameleons (Bronzed Garnet reviewed here). In terms of longevity I find Sisley Phyto Eye Twist Long Lasting Eye Shadows superior to Charlotte Tilbury but with CT you have a little more time to blend but it may crease during that time. Setting time and longevity looks like being a trade-off in these formulations. I pulled out some similar shades from my stash. Sisley #2 Bronze looks like a new shade in my stash. I didn't find anything similar (any ideas?) but it can be because usually I don't gravitate to antique golds. MAC Paint Pot in Genuine Treasure (reviewed here) looks like the closest shade I have. Armani Eye Tint #5 Onyx (reviewed here) is cooler. #7 Havana is similar to my favorite shades so I have a few closer ones. 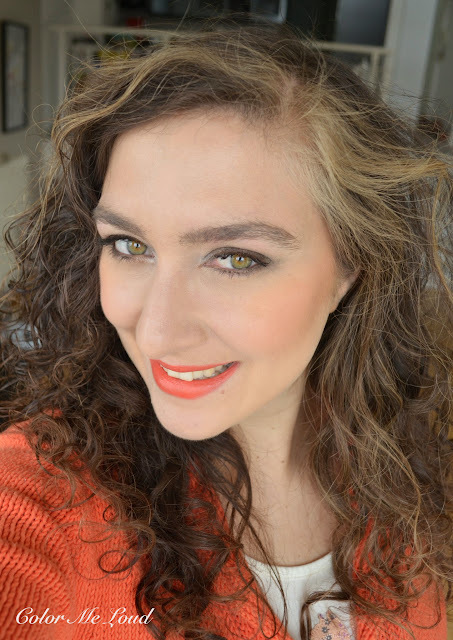 One of my all time favorite Armani Eye Tint #10 Senso (reviewed here) is cooler and on the eyes it is much lighter. Latest from Chanel, Stylo Eye Shadow #147 Caroube (reviewed here, sorry for the typo below) is more shimmery and also a little lighter. Final thoughts: I really like Sisley #2 Bronze for an effortless warm natural eye, it is very fool proof. #7 Havana requires a better application since it is a deeper shade but the end result is worth it. The longevity is very impressive and setting time is very short, so you need some practice to get the best out of your Sisley Phyto Eye Twist Long Lasting Eye Shadows. Have you tried Sisley Phyto Eye Twists? 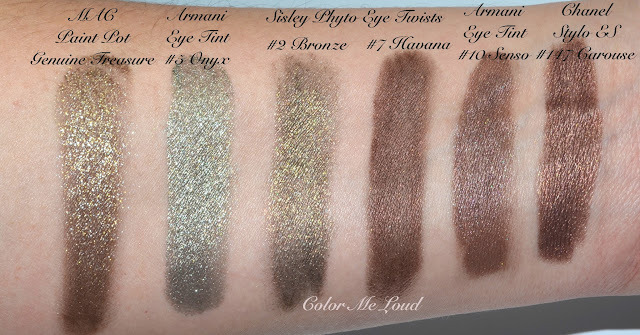 What is your favorite eye crayon formula? Hey Sara, thanks for the shout-out! It's great to read your review especially because our experience is so different from mine! I really wonder if I am doing anything wrong, but then again I can blend other formulas out so it'd be strange to assume I suddenly lost all my blending skills... Anyways. I love both shades on you, and I am glad to hear they work so well! Hi Sara, hmmm antique gold you don't have? Really? hmmm.... how about MAC? Anyway, they're both lovely, and i think shimmery shades tend to be quite fool-proof! Pencil anything is not usually my thing, i'm too lazy to sharpen and end up trying to drag nubs across my lids - ouch! But those Chanel Stylo Yeux seem not bad! I haven't tried any makeup from Sisley. I also haven't tried anything from Charlotte Tilbury. I'm very tempted to get her bronzer/highlight palette though. After reading Sunny's review I was so disappointed but now I see there's still hope as you seem to like these :-) I agree, Havana is a great shade for you. I have eye twist in topaze and I love it. Compare to Chanel's Stylo Fresh Effect eye shadow in Caroube, it is very light weight and it stays put. The color of Topaze is intense and neutral (and buttery in application) like a golden bronze. I returned Stylo in Caroube color, because it felt heavy on my eyelids all day. It bothered me that I could feel my eye shadow on, like a glue on my eyes. The color is amazingly bronze (more brown tone), but it didn't feel good on. I disagree with Sunny's post about the eye twist. I don't think she applied the product on correctly. The sales person told me to draw lines, which worked out great. The color is very even. Neither Stylo nor Eye Twist are meant for blending. They are essentially really fat eye liners, with the effect of an eye shadow. I think the price is a bit high, but they are meant to be set apart from the other brands. They are luxury brands, so they should feel luxurious. Yes you and me we love similar shades! Bronze is like one shade I would love to have if all the other shades are taken away from me hahaha, if that makes sense. I read some reviews that it's actually cooler than most bronzers, so I'm not sure! I saw the swatch on another blogger who has my skin tone and it looks cool on her as well. Too bad I can't see this on blog sales. If the shade's too warm, then at least it wouldn't be so painful. HAHAHA! The Bronze shade is indeed cooler than my usual bronzers! The shimmer is definitely not noticable on my skin, it gives more of a healthy glow instead. I get alot of use out of the palette! These look stunning! Easy to just slap on or the create a winged liner look with abit of oomph. I am a loyal Chanel make-up customer for 20 years. That is my go to brand. But Sisley make-up for me is like love-at-first try. When the salespeople at Bloomingdale here in U.S.put the eye twist on me, I bought it instantly, I also bought the lip twist in #8 candy immediately. It is almost like an addiction. What I love about the twist products of this brand (as a first time customer) is how long lasting, natural looking and buttery the products feel, and how easy they are to travel with. I expect them to be excellent make-up to wear in the hot and humid summer months and be fool proof. For me, Sisley is pure indulgence, while Chanel is my staple. What do you think about the Clinique chubby eye crayon and chubby lip crayon? Have you done a review on them yet?